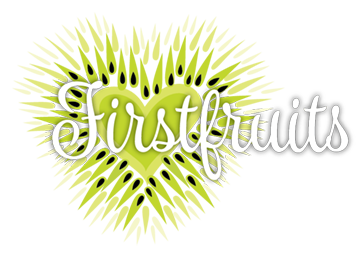 As Executive Director of Firstfruits, I have had to wear many hats, some that don’t exactly fit really well. For the last five months, I have been wearing the expediter, general contractor, frequent Menards and Home Depot customer hat as we built the new Firstfruits space in Elm Grove. With great joy and anticipation of what God has planned for this new home, (in addition to great relief) I am hanging up that hat and focusing on what I feel most comfortable doing; sharing stories of our amazing God. 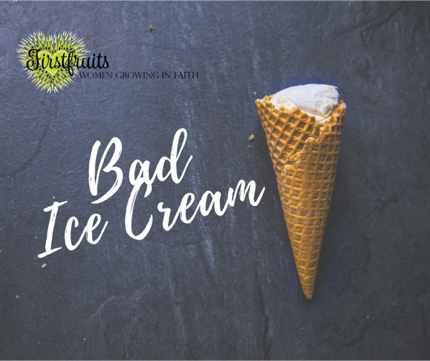 One way I know God is “messing “ with me is when I become restless causing me to indulge in uncharacteristic behaviors like eating a lot of ice cream, flavors I don’t even like. Key Lime at Kopp’s last week. God speaks to us each individually. It’s important that we learn His unique language. I have come to know through prayer that when God is calling me to something, the first warning light is this restlessness. I used to be annoyed by it. I would try to ignore it or deaden it (thus the ice cream) or busy myself so as not to feel it. But I know now, I need to listen to it. The restlessness is a message. In this case, the message is start writing and talking again. Share the words, the wisdom and the love that I give you. So stay tuned….more to come. I can’t keep it inside anymore. It’s Jalapeño Butterscotch next week. Save me.